A talented up-and-coming runner studying at The Sixth Form College, Solihull has been selected for an international cross-country meet next month. 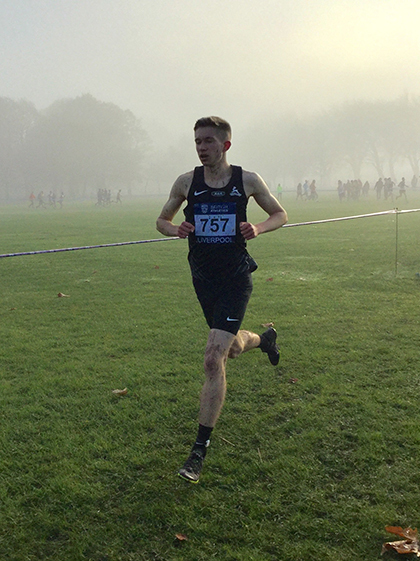 Student Tom Dodd (aged 18, from Birmingham) has been selected by British Athletics as part of a 40-strong team to compete at the Great Edinburgh International XCountry on Saturday 7 January 2017. Also on the team is Olympic champion Mo Farah. Tom, who runs for Birchfield Harriers, is juggling his running with his A level studies in Biology, Geography and Physical Education. “I’ve been running since Year 8. I’ve run for England three times before, but this is the first time I’ve been selected for Team GB. I usually run 1,500m on track, but cross country is what we do in the winter months. I got picked from the GB trial race in Liverpool in November.